Last night we moved into a rental home in the community of Varsity in Calgary. It’s probably the easiest move I’ve done – lots of time to pack and load the truck, great help, and plenty of time to unpack. 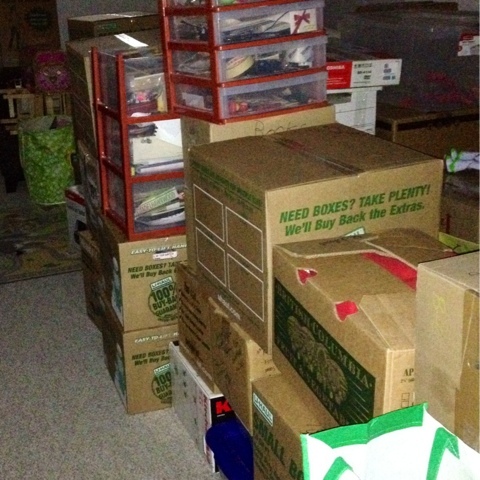 We are on a path to downsizing/simplifying – I’ll be blogging about that soon. That’s 8 homes in 12 years. I need to find something that has accompanied me on all of these moves and ensure it makes it in all of our subsequent moves. Sorry that was me, Amber, commenting above!